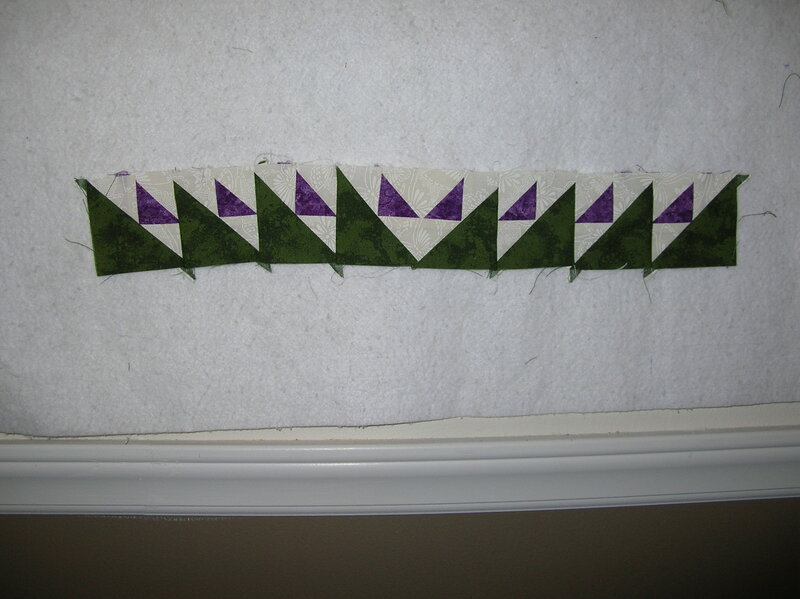 Here’s a rather sad picture of one of the borders that I’m working on. Not only does it sag, as you can see, but it’s also about an inch too long. I never knew how valuable the seam ripper was. 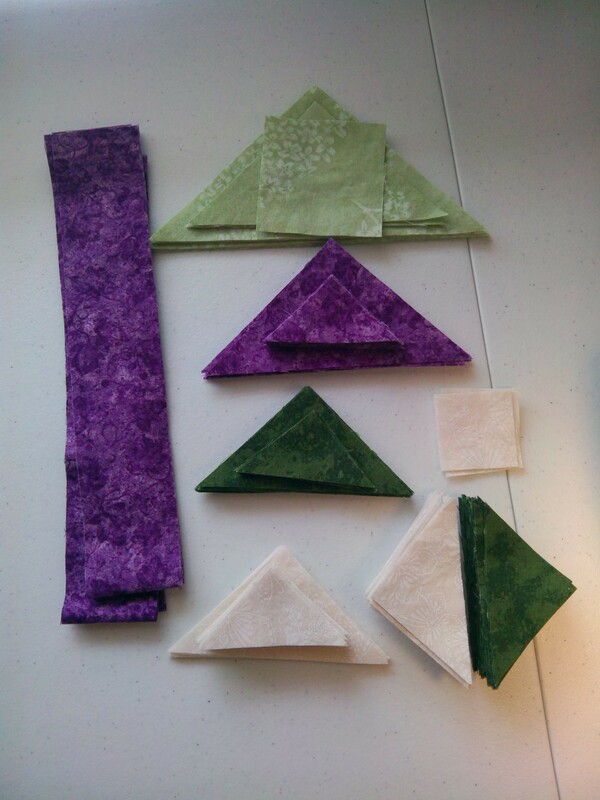 This is making me want to try paper piecing. 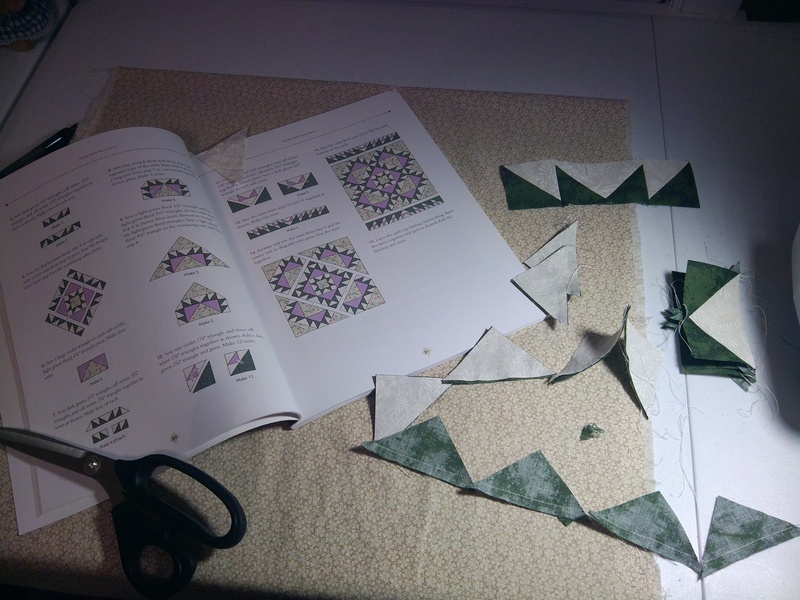 My understanding of the benefit of paper piecing is accuracy without so much of the pain of piecing precision. Any thoughts or experience with that? 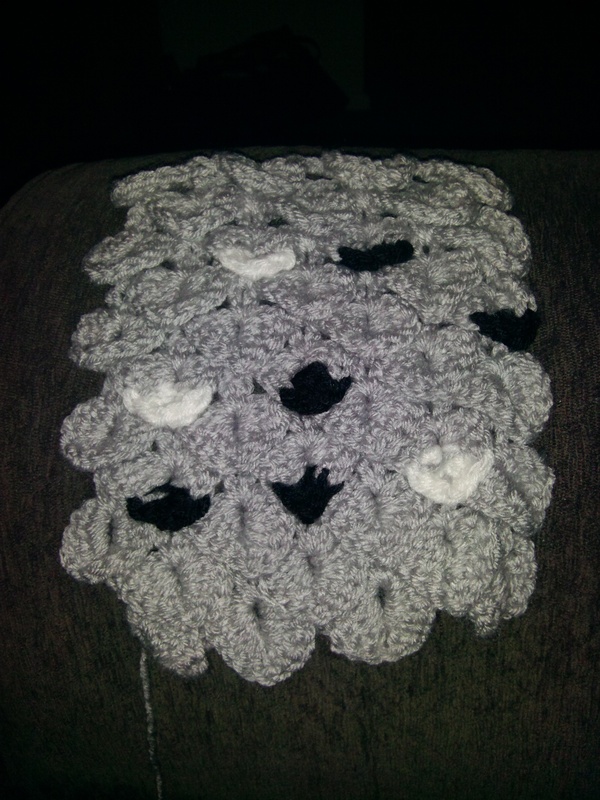 Of course, I’m already on to the next quilt project without quite finishing the first one. However, in my defense (maybe? 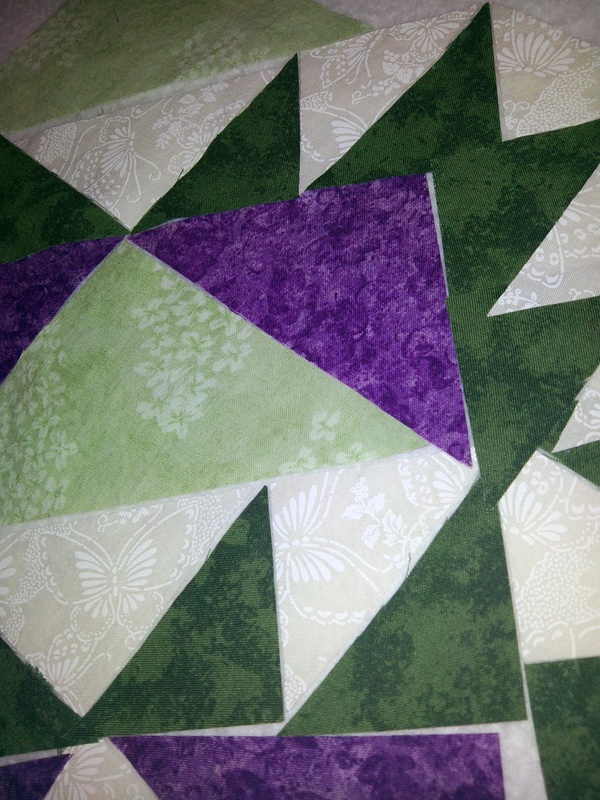 ), I’m not sure about how to quilt it, so I’m not comfortable doing the quilting right now. Translation: I don’t wanna cause I think I’ll screw it up. Messy quilting space makes for great quilts! This week I’m official starting the second half of the summer term. This term I’m taking Computer Architecture, which basically talks about how computers are architected, down to bit level. It’s interesting but I’m definitely realizing that I made a good choice to go into the software side of things instead of the hardware. I don’t mind it, but I get bored with it and I don’t like the math. No surprise, I generally don’t like math, but it’s worse when I’m dealing with calculating microseconds of delay on reading hard drive platters to compare efficiency of I/O processor speeds. Avocado Chocolate Cupcakes, Oh My! 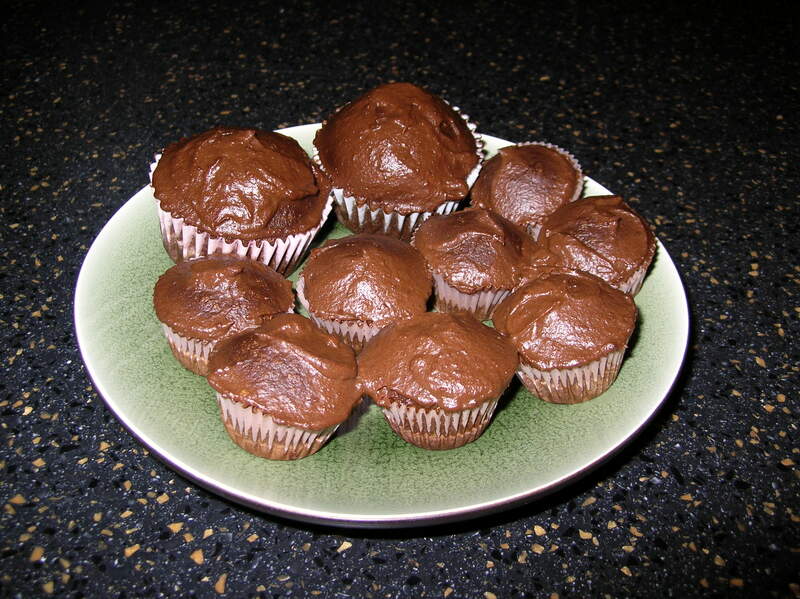 While in one of my wandering around the internet moments, I happened to stumble across a vegan blog that had an interesting chocolate cupcake recipe. The secret (or, actually, not at all secret but wouldn’t it be cooler if it was called a secret?) ingredient was avocado. 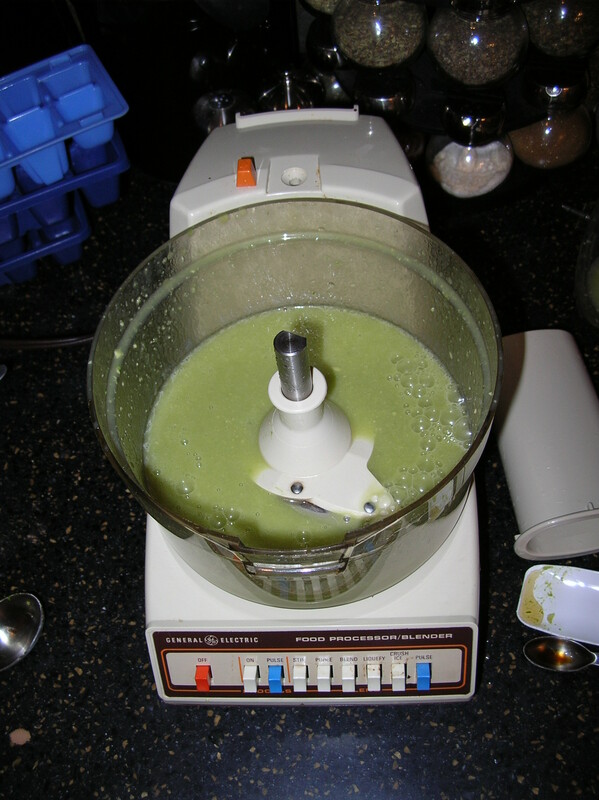 Basically, the avocado combined with coconut butter replaces the milk in the recipe. Interesting, right? Right? Ok, well, I thought it was. I made a couple changes, because, well, I’m not vegan and I don’t have all the fancy ingredients on hand. I used honey in place of agave, white cooking wine in place of apple cider vinegar, and egg in place of egg replacer (that sounds funny, but I think I said it right). One fun thing I did find was white whole wheat flour, which I’d been watching for my local store to start selling. The health food stores are so expensive! Also, they had Truvia baking blend that I used for sweetener (the item still had the “New Item” sign by it in the store; does this mean I’m cutting edge?!). Some of my friends and family have had the misfortune opportunity to taste these, and even my husband agress, they’re pretty good. I made chocomole to ice them with. Chocomole is another vegan recipe pulled from this site. It uses avocado and dates to make a pudding like dessert. I added coconut butter to make it more of an icing texture and voila! Cupcakes!